More than 200 people, members of the Catalan and British community in London, attended the event in the headquarters of the Parkview Academy in London. 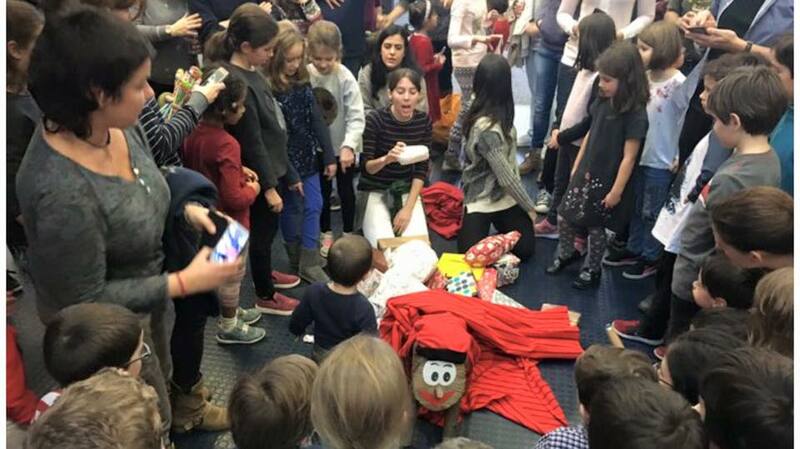 The celebration included Christmas workshops and the traditional “Tió” by Escola Catalana de Londres, hot chocolate for everyone and the performances of Coral de Londres, which offered a Chritsmas Concert, human towers by Castellers of London, and the traditional dance “sardanes” by Colla Sardanista de Londres. The Head of the Delegation, Sergi Marcen, wished a Merry Christmas to the attendees and he proposed a toast with cava followed by a party, offered by Catalans UK.